The board members from each school district voted to make an ethnic studies class a graduation requirement starting with the class of 2019. 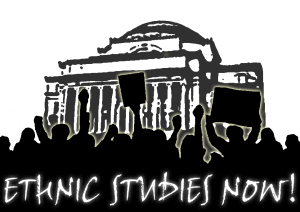 Ethnic Studies Now coalition proposes a mandatory one semester long of any of the LAUSD approved subjects: Mexican American Studies, African American History, Literature of Minorities in America, or Asian Studies. The requirement, according to Jose Lara coordinator of the coalition, would not increase the number of credits students need to graduate. The coalition petitioned for the class to be a graduation requirement because according to their petition (posted on their website) “over 90% of LAUSD is comprised of students of color” and those students’ “experiences are marginalized and forgotten in the mainstream curriculum.” Board members Bennett Kayser, George McKenna and Steve Zimmer introduced the motion to the board. The board members are being supported by various communities and organizations in Southern California. Students, teachers, and parents rallied outside the LAUSD headquarters, the Beaudry building while the board took its decision on Nov. 18. Many community members and students showed up to the rally and 1,500 of them signed the petition posted on the Ethnic Studies Now coalition’s website.